If you are a Java programmer and looking for some free JDBC courses to start learning database access in Java then you have come to the right place. 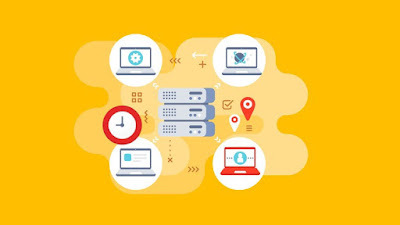 In this article, I am going to share some of the free online JDBC (Java Database Connectivity) courses from popular sites like Udemy and Pluarlsight to give you a head-start in your long journey of writing real-world Java application which interacts with the database. Since Data is the utmost important part of any Java application, it's imperative to have a good knowledge of how to interact with the database from Java application and JDBC is the first step in that direction. 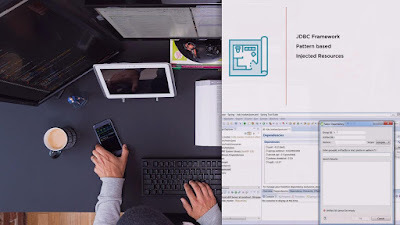 JDBC stands for Java Database Connectivity and provides a basic API to connect a database and read/write data. You can execute SQL queries, call stored procedures and parse ResultSet to create Java objects. JDBC API provides several classes e.g. Connection, DataSource, Statement, PreparedStatement, CallableStatement, ResultSet, RowSet etc to deal with whatever needs you have with respect to writing Data access code. Though, writing JDBC code is not easy. You not just need to know the basics which these JDBC courses will teach you but also you need to know the right way to use the API. You must follow some tried and tested JDBC best practices to get most out of JDBC API and write a robust Data Access layer which can handle a large amount of data. I have shared a lot of JDBC tips and tutorials in this blog, which you can access after going through these JDBC courses to learn basics. You can further enhance your JDBC and Data Access skill by learning Spring and Hibernate, while former simplify working with plain JDBC by taking away all the hassle involved in terms of creating connections and dealing with SQLException, later is an ORM or Object Relational framework which allows you to work with the only object while it takes care of interacting with Database. Here is my list of some free courses to learn JDBC on Udemy and Pluralsight. I have included learning plain JDBC as well as Spring JDBC, which is required for effective use of JDBC API in the real-world application by taking away all the pain of dealing with connections and error-related boilerplate code which is best left for a framework like Spring. Anyway, without further ado, here is a list of free JDBC courses for Java programmers from Udemy and Pluralsight. 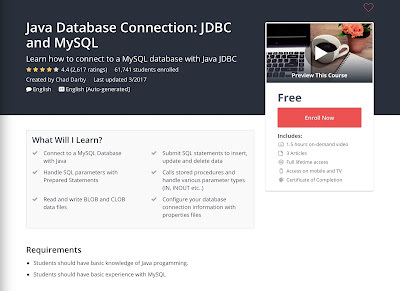 This is a free course on Udemy to learn JDBC with MySQL, one of the popular and my favorite database. It also helps because MySQL is free and you can download and install on your machine to practice along the course. In this course, Chat Darby will teach you how to connect to a MySQL database, how to execute SQL queries, both simple and bind queries using PreparedStatement, read and write blob and club data files, and perform all basic operations e.g. insert, select, update and delete. The course also touches based on some advanced concept e.g. how to call a stored procedure and handle IN, OUT and INOUT parameters. Overall, a good short course to learn JDBC for free. This is another free course from Udemy where you will learn basics of JDBC but from a web application perspective. Since JDBC is mostly used in Java web application with Servlet and JSP, this course is great for Java web developers who don't know JDBC. Like the previous course, this one also teaches you basics of JDBC e.g. connecting to the database, executing SQL queries, parsing result set and handling errors. The best thing about this course is that it's a direct classroom recording which is a bit different than screencasting through slides. In general, classroom lectures are more interactive and fun compared to screencasting. This is a different type of course which is only useful if you know basics of JDBC. In this course, you will find some of the important JDBC Interview questions asked in Java development interviews. Very similar to what I have shared in my list of basic and advanced JDBC questions. I have personally learned a lot by following interview questions and I discovered that this method encourages you to research and learn by reading a blog post and following articles, but it only works if you know some stuff. That's why I suggest you first go through previous two courses to learn JDBC basics before taking this course. 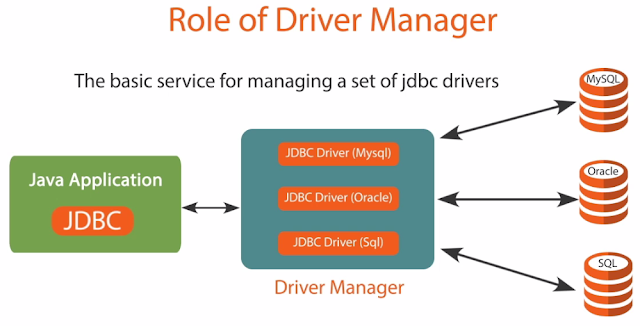 This is a proper JDBC course from Pluralsight which will teach you how to work with Database. The author Sekhar Srinivasan is a Corporate Trainer & Senior Architect at LSSolutions Pvt. Ltd. This is a comprehensive course on working with database and you will learn a lot of things e.g. In short, a good course for all the Java Developers who want to work with JDBC API. If you have used JDBC then you know that for all its power, flexibility and control it also comes with the burden of boilerplate code for managing resource and dealing with SQLException. Though frameworks like Hibernate and iBatis makes working with database easier in Java applications, it's not possible to use them everywhere. Since you cannot use Hibernate or any ORM framework everywhere you need to access the database from Java program, I prefer to use Spring JDBC, which not only solves the problem related to creating and managing connections but also dealing with errors. In this course, Bryan Hassen, author of Spring Fundamentals and Spring Security Fundamental courses on Pluralsight explains how to effectively use Spring JDBC for interacting with database form Java application. You'll learn about setup and configuration, PreparedStatements, RowMapper, NamedParameter, and their various approaches utilizing JdbcTemplate and JdbcOperation interface for dealing with database form Spring-based Java application. Btw, both the Pluarlsight courses I have shared in this article is not completely free. You need a Pluarlsight membership to access these courses, which cost around $29 per month, but that's worth of every penny. As you get full access to their 5000+ high-quality courses to improve your knowledge and skill. I have a yearly subscription which I got on $199 on last year promotion and most of my learning depends upon that. Btw, you can still get these courses for free by signing up for 10-day free trial which is enough to attend this course and also get an overview of what you can get by joining Pluarlsight. That's all about some free JDBC Courses for Java Programmers. These are great resources to start with JDBC, which is key for writing real-world Java applications. Since Data is the most important part of any application and JDBC is the most basic way to work with Data in Java application, a good knowledge of JDBC goes a long way in becoming a good Java developer. Thanks for reading this article so far. If you like these Free JDBC Courses then please share with your friends and colleagues. If you have any questions or feedback then please drop a note.